Large: Large didgeridoos are (full-sized) didgeridoos that range from 125cm - 140cm (50 - 56inches). Larger didgeridoos have a deeper tone (key C - E). 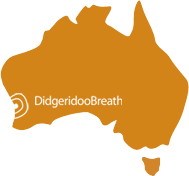 Have a listen to the sound sample of a large didgeridoo below. I found the wide range of products available and ease of contact with and from Sanshi to be excellent. The education training videos and instructions are also easy to understand and follow. A pleasure to deal with. Item delivered to uk fast and safe. Will definitely be purchasing my next didge from these guys when time to upgrade. Massive thanks to the team. The website is well designed and easy to get around. I like it that there are sound files with many of the Didgeredoos. In addition, the free Dojo membership is Huge! this was an unexpected bonus and really makes a difference. Thank you for that!!!! Shipping was fast and I love my Digeredoo! The classes helped to address my concern that I am the only one in my family to play and Seeing Sanji (sp?) in the Dojo really helps me to keep up my enthusiasm. On the improvement side of things, when I ordered the Starter pack, I could choose size/finish, but that is it. It looks like there are TONS of Digeredoos at the store, but only like 20? available online. I would request more options with the starter packs. Also, there is some pretty decent data on Digeredoo playing benefiting those with OSA/Snoring, maybe post links??? I was quite impressed with my new purchase from DidgeridooBreath. 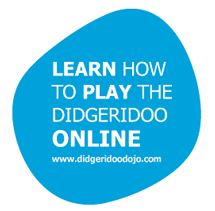 It is the first Didge I have ever bought and was really pleased with the links on what to look for when purchasing a didgeridoo and the explanations of the different types etc. The postage of the Didge was quite fast through courier and the item was packaged well and was unscathed on arrival. Also pleased with the overall quality of my purchase. Love the lessons.